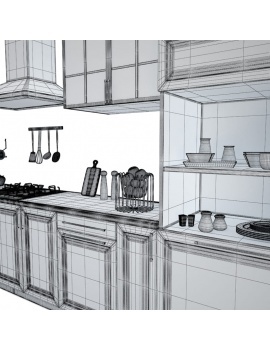 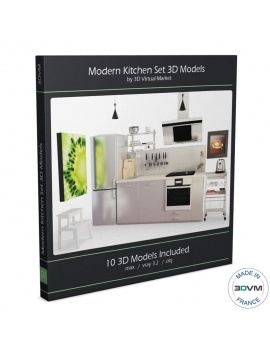 7 3d models realized on 3ds max 2014 are included in this box to quickly arrange a kitchen space. 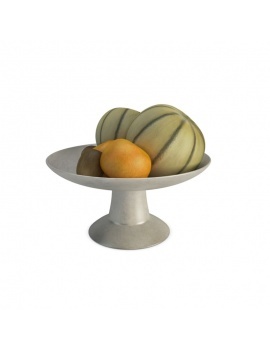 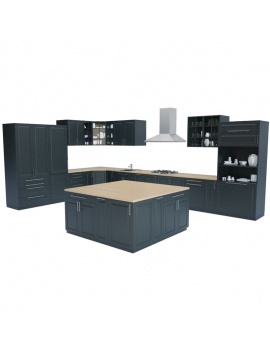 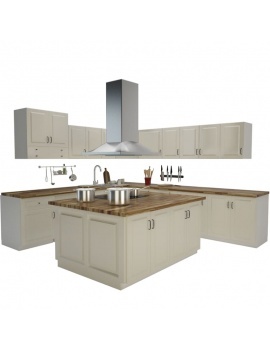 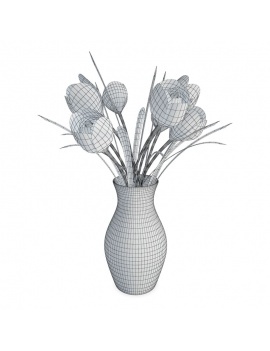 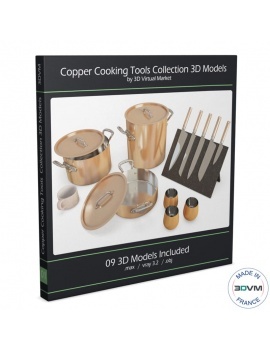 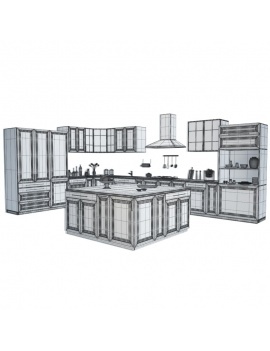 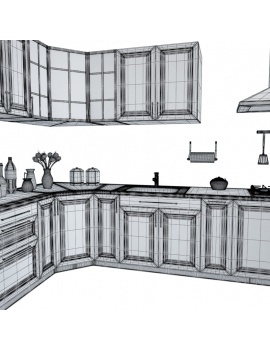 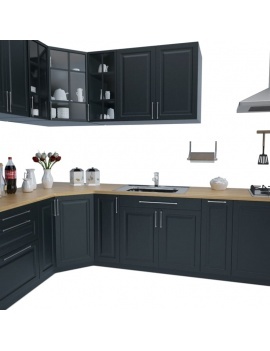 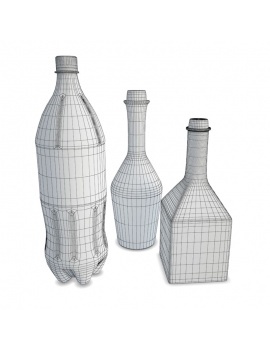 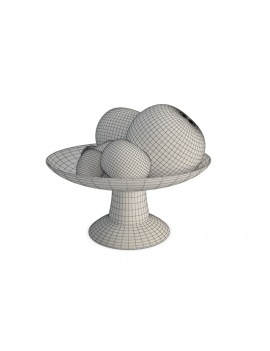 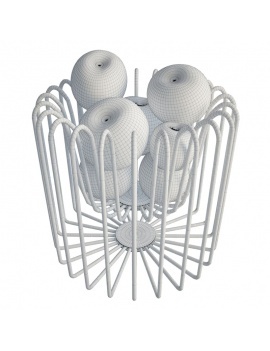 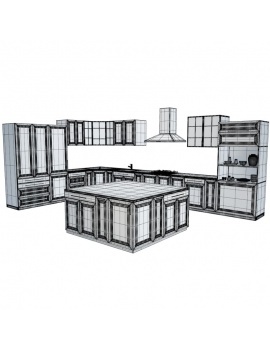 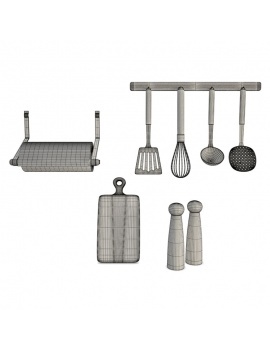 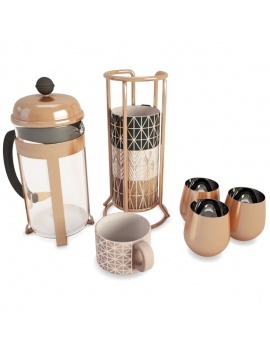 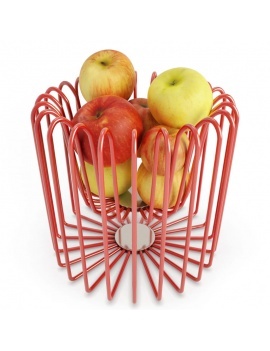 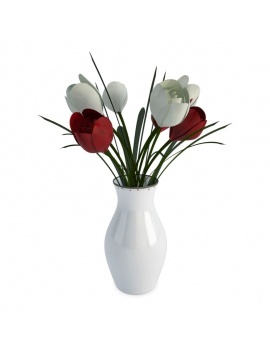 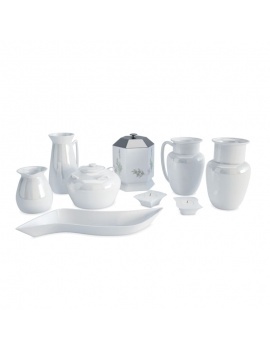 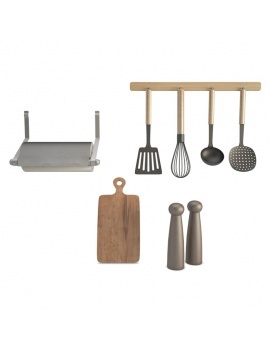 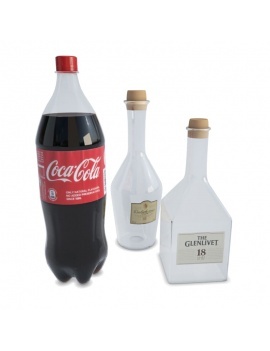 This set include essential elements to design a 3d kitchen space. 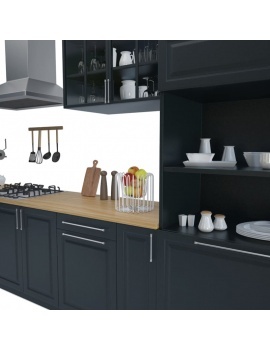 List of 3d models contained in this "Grey Kitchen 3d Models" set: Kitchen Cupboards, central island, utensils, hood and gas cooker, flowers, fruits, bottles and tableware. 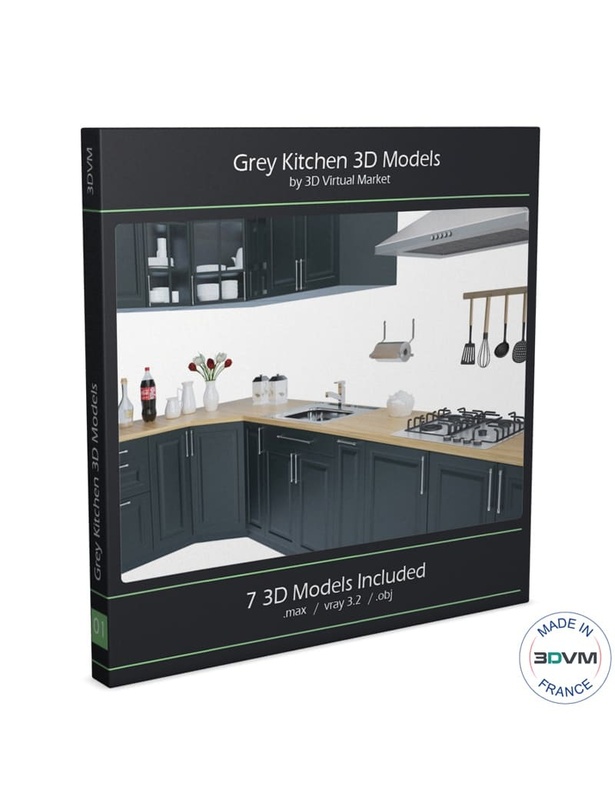 For more informations about all 3d models in the box "Grey Kitchen 3d Models", you can consult the pdf file in "Attachments". 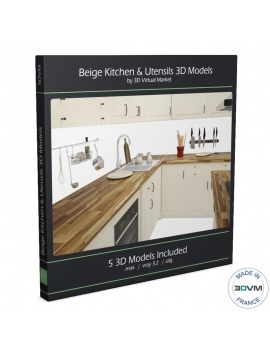 All the 3d models, in this box "Grey Kitchen 3d Models" are realized with real world size. 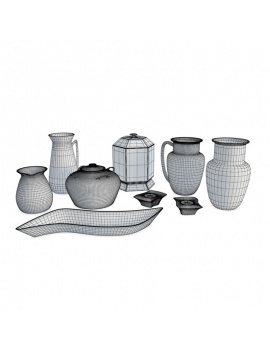 Used textures resolutions vary between 394 x 246 px to 4 096 x 4 096 px. 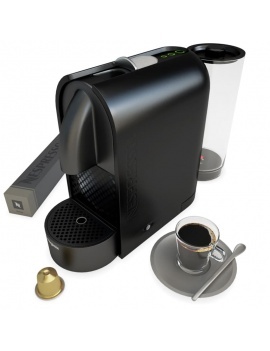 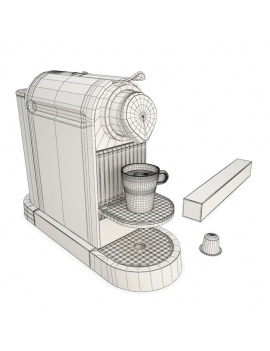 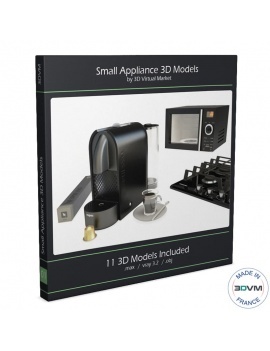 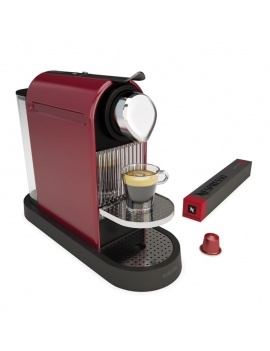 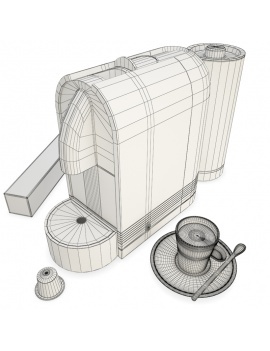 You can download this Coffee maker for your kitchen in 3d.